The monument to academician Abiken Bekturov (1901-1985) was established in 2007 in the village Bayanaul. Author of the project is Honored Artist of the Republic of Kazakhstan Hasen Abaev. The monument, which is located in Petropavlovsk on the place where there was at one time the NKVD building, symbolizes the prison. 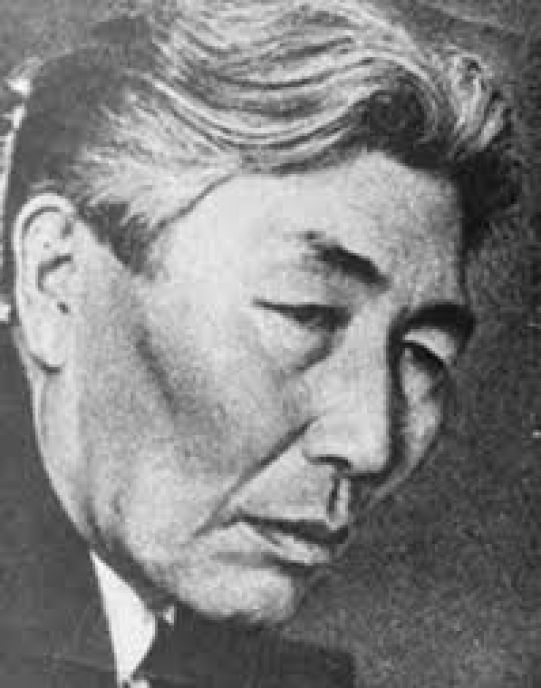 Abiken Bekturov together with the first academician of the republic Kanysh Satpayev participated in the organization of Academy of Sciences of Kazakh Soviet Socialist Republic, stood at the origins of chemical education in the republic, created and headed Institute of chemical sciences.